Web Desk: A French multinational pharmaceutical company, Sanofi has launched its generation basal insulin in Pakistan, on Friday. 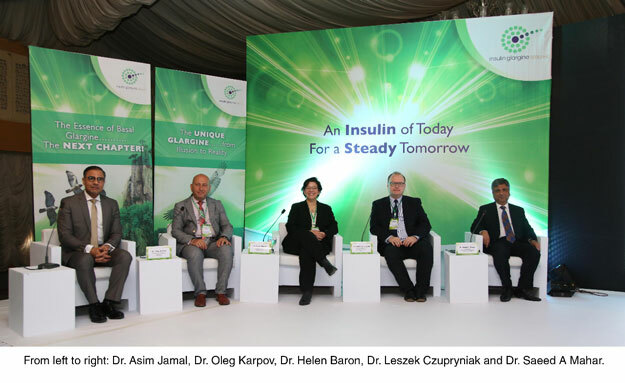 The insulin, known as ‘Insulin Glargine U300’ was introduced to the public at an event attended by leading doctors in Karachi. The new product designed to act over 24 hours, this will improve the control of blood sugar in adult diabetic patients. According to a statement, the basal insulin was approved by Food and Drug Authority (FDA) in 2015, and has since been introduced in many countries, including the US, Canada, Russia, Japan and India. According to the pharmaceutical company, the insulin promises stable blood sugar control throughout the day and night, offering dosage flexibility and providing empowerment to patients. “It is our endeavor to bring innovative solutions to patients to improve their health,” country chair and general manager Sanofi Pakistan Asim Jamal said. The product is available across the country on prescription.